Red Carpet Films is the latest streaming service aimed at the rich and famous offering the ability to watch films the day they’re released in cinemas. While this certainly isn’t the first streaming service to offer this functionality, Red Carpet Films is certainly the most expensive. Despite a slight increase in attendance at cinemas across the globe in 2018, the long-term trend shows that fewer people are opting to catch a film in theatres than they did in the past. That has movie studios worried, with many looking at offering their films to consumers at home on the same day, or near to, their release in cinemas. Unfortunately, studios are weary about eating into potential box office takings, which is why they’ve only allowed day-and-date streaming for the rich and famous. Back in 2010, the first notable day-and-date streaming service launched onto the scene called Prima Cinema. In order to win over the movie studios, Prima Cinema had to create the world’s most secure device for playing movies, although they didn’t stop there. Prospective clients couldn’t just stump up the $35,000 needed to buy that device, they had to go through a background check to ensure they had good intentions – only then would they be allowed to have a Prima Cinema Player installed in their home. That is unless they had a screening room with more than 25 seats or a screen under 100in, both of which are forbidden under Prima Cinema’s strict rules. 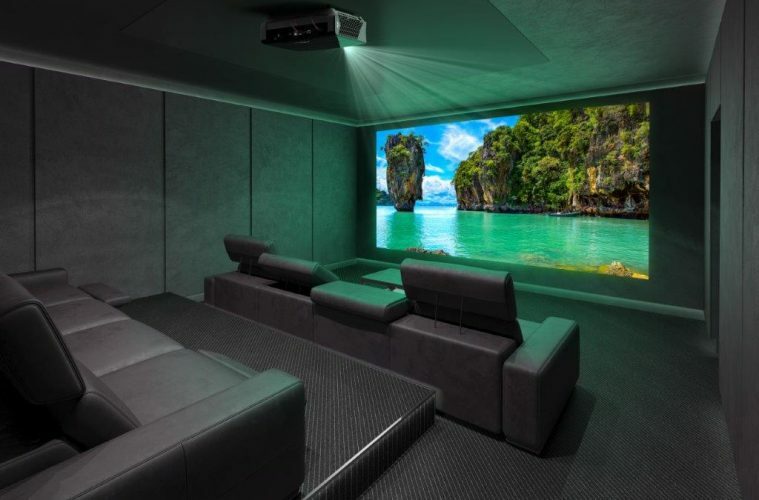 Red Carpet Films isn’t too dissimilar; it requires buying a $15,000 box that connects to a home cinema system, which has to be installed by a professional installer and features a whole raft of piracy protection features. Like Prima Cinema, prospective clients will still need to go through a rigorous application process, and only then they can begin watching films. Unlike Prima Cinema, however, which charges $500 each time a user wants to watch a film, Red Carpet Films charges between $1,500 and $3,000 for two viewings within a 36-hour period. That means that even though Prima Cinema’s initial outlay is higher, Red Carpet Films can quickly become far more expensive – especially if you’re the type that will take advantage of watching all the latest films. In terms of the films available on the service, there are quite a few to choose from. Red Carpet Films has deals in place with Warner Bros., Paramount, Lionsgate, Annapurna and Disney’s 20th Century Fox and Fox Searchlight. Meanwhile, Prima Cinema offers films from Universal Pictures, Paramount Pictures, Lionsgate, The Weinstein Company, Focus Features, Samuel Goldwyn Films, Magnolia Pictures, STX Entertainment, and Gravitas Ventures. Notably missing from both services are Disney and Sony. It’s unlikely that Hollywood will be able to agree on a day-and-date movie streaming service for the general consumer for quite some time, but at least the rich and famous now have two options to choose from.